For over 20 years the Abbyson family has taken great pride in creating home furnishings that continually redefines itself through modern-day living, while keeping core and timeless values first and foremost. 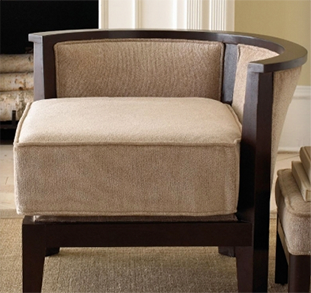 Abbyson inspires the American home with pieces of comfortable luxury, revitalized beauty and timeless durability. We invite you to browse through our website and learn more about our brand. Through its unparalleled quality furniture, state-of-the-art customer support, and leading edge pricing Abbyson Living has become the premiere designer and manufacturer of transitional home furnishings and America’s most trusted online furniture brand. Abbyson’s dedication to its core values has made it the market leader and a top-selling household name. Abbyson Living preserves the craftsmanship of the past, resonates with an innovative vision of the future, and exceeds the expectations of today’s consumers. Throughout its long and fascinating history Abbyson has also been a leader in environmental stewardship, green technology, and reduction of its carbon footprint. To celebrate our 30 years in the industry in 2012, Abbyson Living introduced a renewed brand identity. Our new brand platform boasts our heritage and family values, and the new logo features Abby’s signature. The logo also serves as Abby’s guarantee of quality, craftsmanship, and distinction on every piece of furniture that Abbyson Living creates.